Chris had worked really hard Friday night and Saturday morning, so upon heading out of town we went with his cravings “I could really go for just a good burger,” truth be told, Chris could always really go for a good burger. J Google led us to Red Mill Burgers near the south end of Green Lake, and we were sold when we heard it was “1 of 20 burgers to eat before you die” according to Oprah and GQ (for the record, they’re not usually my standard for good dining). We weren’t planning on dying anytime soon, but we thought we’d cross it to our food bucket list ‘cause you just never know! Most of you know my romance with Trader Joes. I never leave that store in a bad mood. 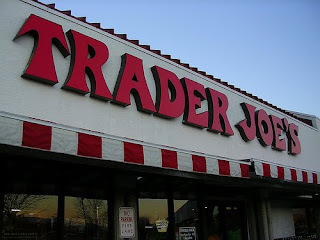 If I have a happy place- it’s Trader’s. One of these days I’ll blog about my famous wine spill… or should I say WINE BATH a few Christmases ago that I became known for. For now, I’m rather incognito at our new Portland location, but I plan on befriending the shelf stockers soon enough. Outside of the soy sauce I used, everything in this recipe was from Trader’s. Chris is getting used to my camera being in the kitchen. He laughs while I “plate” and sits patiently while I change the lighting. I sighed, “not exactly what I was hoping for.” “You HAVE to blog about just that, Noelle!”- Chris. He was right. I’m still learning. It keeps me real in the kitchen. No celebrity chefs here. 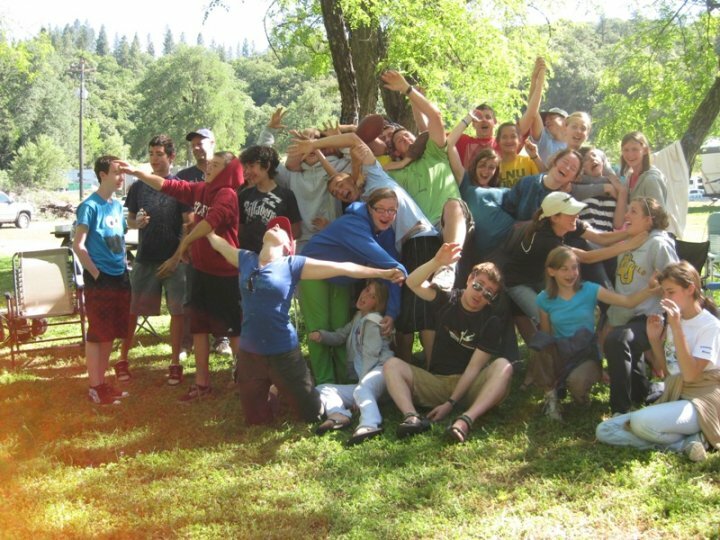 Back in June, Chris and I returned from camping with our youth group in Rocklin after a long weekend. We were tired to the bone, as is to be expected after our fourth annual trip with the group. All of those camping mornings began with good coffee. One might say that anything tastes good when you’re camping, but when you’re in charge of 20 some odd kids, one can’t be too sure. Anyway- we’re a fan of the French press, an item we made sure not to forget. And we brought enough for all the adults helping out with the weekend as “payment” for the lack of sleep. Naturally we had some left over fresh grounds when we got back. God forbid we throw out good coffee. Thus became our Coffee Ground Rub. While some may go out to eat after a trip like that, we really rejuvenate with a good meal, cooked in, together. We had read of rumors regarding a coffee ground mix, or marinades using fresh espresso. So we tried it out. So fabulous. Great crunch. Amaaaazing flavor. So we went for it again last weekend. We used a small Tri-Tip cut from Trader Joes, but I would love to try it on a good Rib-Eye paired with a peppery Primitivo. A few nights ago we visited Lorenzo’s in celebration of my new job opportunity. We find ourselves frequenting NE Mississippi Ave quite often when it comes to food. Living on the boarder of North and South Portland, I feel that we’ve just let the wind blow us, and we keep ending up in NE for dining, church visiting, coffee shops…etc. Simple pleasures. They are different to everyone. Sometimes there is emotional attachment. Other times, it’s just a no hassle kind of enjoyment. On our morning walks around South East Portland, we are impressed by everyone’s veggie gardens. Cucumber, tomatoes of every color and size, herbs the size of small trees, apples, I even saw some pumpkins the other day! I love Portland for their “sharing mentality.” There are sporadic little signs: “please enjoy sparingly.” And no one takes the whole box, just a few. They are simple little treasures- each one delicate and different. I carry them home as though it was a rare sea shell I found on the beach in Pacific Grove. Mom always said I could only take a few because otherwise the beach would run out?! Be it shell or tomato, the treasure made it home safe and sound. We drove by yesterday around noon to spot the suspect. Shades on. 13 mph. Target spotted. Line out the door. Line around the corner. Couldn’t see the end of the line. But at least we had a sighting. This thing was for real. So back we went today. 10am on a Monday. A surprise attack, I’m sure. Still a line. But an end in sight. Now for parking. I swear the one way streets switch directions once you turn the corner. It’s as though you literally can’t get to it, it’s a game. It’s VooDoo! Once in line, I snap a few pics. I’m slightly embarrassed any time I’m the obvious newbie surrounded by “Weird Portland Locals” who are just gettin’ their usual breakfast. I must have made some of the posers feel better about themselves because about four other cameras emerged proudly while our tummies growled in unison. One thing I have learned since diving into the adventure of cooking is how to critique my food. This may sound snobbish, but let’s be honest- I don’t really know what I’m talking about… but there are a few things that make good sense. Now there are several different combos- but the point is balance. Take my Ground Turkey Spaghetti Sauce- looking for Salt/Heat/Sweet. Salting- a little bit on each item you add to the pot (“layering the flavor” as they say) should provide you with the perfect salty fix by the time it’s ready to serve. For heat, ½ and ½ hot/sweet sausages, or for my ground turkey I like sprinkling in red pepper flakes to taste. For sweet- I am reminded of Chris’ Aunt Pam who adds bell pepper, or recently inspired by Adrienne Sanvos’ Spaghetti Sauce with carrots. Bell pepper and carrots have a natural sugar that is released when cooked that provides that sweet/savory thing you go for when cooking dinner. The threat of a food blog came about six months ago when Chris and I decided that cooking really was relaxing to us. That, and noticing that half of my Facebook statuses consisted of what I was planning for dinner. We would come home after work, with the left side of our brain sufficiently worn only to look for something to "relax with" using our right side. You get the idea... left side is what the Ritter brain does all day. Right side is how we play. So fast forward a few months--- HELLO PORTLAND! new state, new city, new home, new weekend opportunities, new restaurants, new wine country, new books to read, new people to meet. As we take it all in, there are so many things to share. And so many of these simple pleasures happen to be palatable discoveries. But others may be moments that make us chew a little longer. Or conversations that linger. Or scenes we want to savor. So I invite you to dine with us as we explore life in Portland- from our kitchen discoveries to our city life encounters.